Big Hero 6 is an action-packed comedy-adventure movie by Disney which is also from the team behind Frozen and Wreck-It Ralph. It is about the special bond that develops between Baymax, a plus-sized inflatable robot, and prodigy Hiro Hamada. 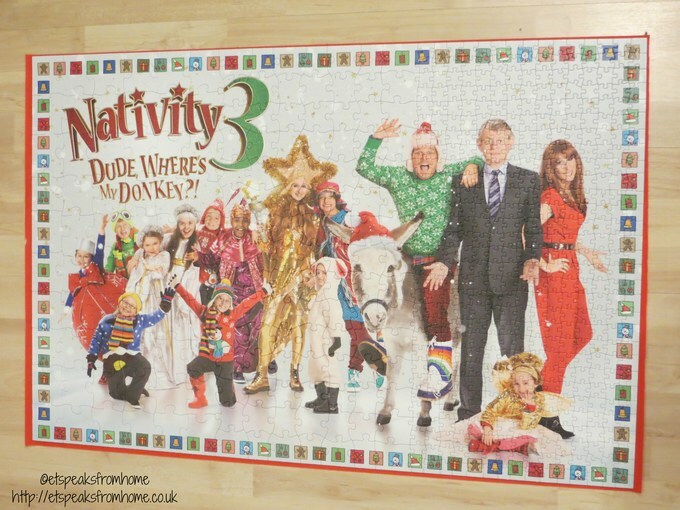 To coincide with the release of Nativity 3: Dude, Where’s my Donkey in November, Jumbo Games has captured the British comedy depicting the hilarious cast into this festive puzzle. Any jigsaw puzzlers out there? Last month Jumbo Games launched the first ever 1,500 piece Wasgij jigsaw puzzle – Wasgij Original 22: Wasgij Studio Tour! I had seen Wasgij sold in the shops before but I had previously never dared to take up the challenge. In case you hadn’t realised, Wasgij is “Jigsaw” spelt backwards and they are the No.1 adult puzzle brand in the UK. They are unlike traditional jigsaw puzzles where you able to see what the final puzzle and know what you are working towards. Puzzlers can choose from these different puzzling concepts; Original, Destiny, Mystery, What If…?, Christmas and Licensed to enjoy – each uniquely different. 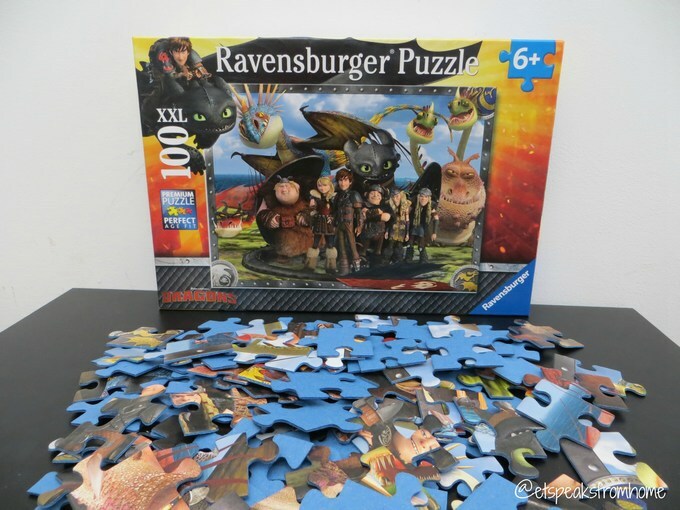 This is a brand new Ravensburger 100 piece XXL puzzle How To Train Your Dragon 2. It features the new wild dragons and the mysterious Dragon Rider. It measures 49 cm by 36 cm when complete. This is suitable for children aged 6 and above. Ms C is only 5 and she managed to do it. 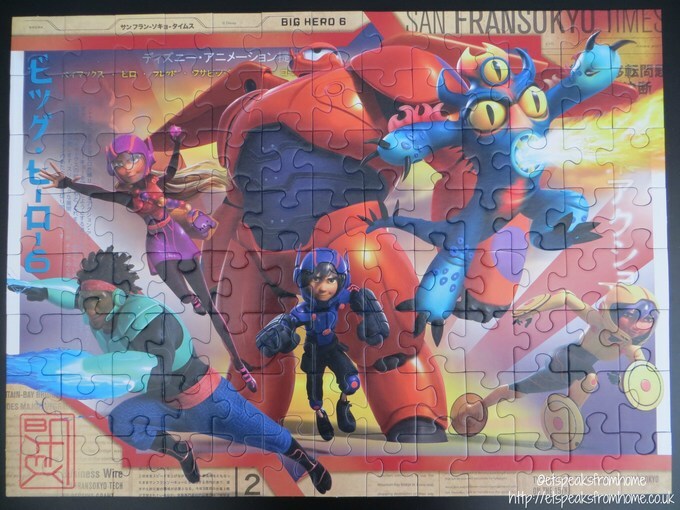 So if you have a big fan of puzzles, I’m sure they will love this gorgeous group photo of How To Train Your Dragon 2. In 2006, Mr K and I went to New York for his 30th birthday and of course we had to visit the iconic Empire State Building. The Empire State Building is a 103-story skyscraper and has a roof height of 1,250 feet (380 m), and with its antenna spire included, it stands a total of 1,454 feet (443 m) high. It is the tallest building in New York once again since the September 11 attacks in 2001. They have been named as one of the Seven Wonders of the Modern World by the American Society of Civil Engineers. The Muppets was one of the first comedy sketch shows I used to watch when I was young. It was shown regularly on the Singapore English Channel. I used to watch it every day and Kermit was my favourite but I did love Miss Piggy too. Now they’ve come out of The Muppets show and into a new film called Muppets Most Wanted. It will be coming out soon and it tells the story of the entire Muppets gang who are on a global tour, selling out grand theatres in some of Europe’s most exciting destinations. However, mayhem follows the Muppets overseas as they find themselves unwittingly entangled in an international crime caper. Ravensburger Puzzle has produced this 100 XXL of the Muppets cast members’ puzzle for puzzle fans aged 6 plus! This is our first time testing out Ravensburger puzzles. I have to say I am very impressed with the range of puzzles they have. Do check them out on Twitter @RavensburgerPC as they regularly host giveaways! Solving jigsaw puzzles are a great work out for the brain and can be beneficial for improving problem solving, learning ability and eye co-ordination for both children and adults. Jigsaw puzzles are normally made from cardboard but this Wentworth puzzle is 100% made in the UK from sustainably sourced 3mm wooden board. 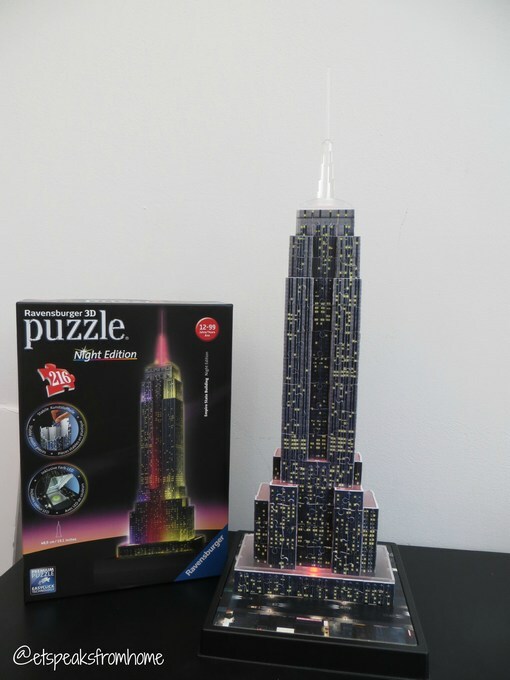 Every puzzle has unique whimsy shapes which typically relate to the picture theme. There are no two pieces that are the same. Jungle Express is a new jigsaw puzzle due to launch in August 2012 by Orchard Toys. This puzzle gives you the opportunity to talk with your child about what’s happening in the picture, while developing their observational skills. It is suitable for age 3 – 6 years old. This is the latest educational game by Orchard Toys launched in August 2012. Monster Catcher emphasises on collecting and losing monsters in this fun, colour matching game. How many monsters can you catch?